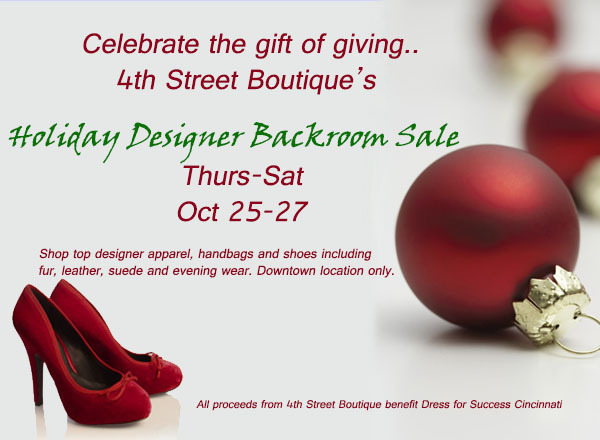 Hang out with Dress For Success Cincinnati! Puffs has partnered with High Five Salon and Dress for Success to help women across America put their best face forward! Puffs facial tissues is hosting a night of pampering at High Five, while fans everywhere kiss for a cause! 10 inspirational women from the Dress for Success Cincinnati location will get head-to-toe makeovers and learn how to revitalize their look in a short amount of time. Women across the country will be looking and feeling their best and build the confidence they desire while beginning new chapters in their lives. Representatives from Dress For Success will be able to talk about how you can contribute to the economic independence of disadvantaged women and help them thrive in work and in life. Also learn makeup tips from the team at the High Five Salon. And finally, learn the inspirational stories behind the 10 ladies receiving make-overs and how Dress for Success helped them. Support the Kisses campaign and Dress for Success by visiting www.facebook.com/Puffs to send a virtual smooch and a fun note to loved ones everywhere. For each kiss sent, Puffs will donate $1 to Dress For Success to help promote the economic independence of women entering and re-entering the workforce! The event is being held Tuesday, February 12 from 5-7 p.m. at the High Five Salon on Madison Rd. Free parking is available for guests attending the event.